Completd b.Tech in 2018 with first class division. Able to manage any situations. Able to handle any kind of kid. Manisha P. describes herself as friendly tutor. She conducts classes in Class I-V Tuition. Manisha is located in Kukatpally K P H B Phase 9, Hyderabad. Manisha takes at students Home and Regular Classes- at her Home. 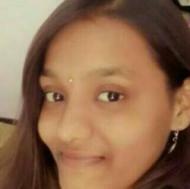 Manisha has completed Bachelor of Technology (B.Tech.) from mgit college in 2018. She is well versed in English, Telugu and Hindi. Send Enquiry to Manisha P.